When Sam Brylawski was a teenager he had to write a paper for his high school American history class about Gershwin’s “Rhapsody in Blue,” so he did something that was ambitious for a high school student: he traveled to the Library of Congress to examine the composition’s original manuscript in the Gershwin collection. Brylawski found himself sitting at a table in front of the original manuscript, studying Gershwin’s music-notation “handwriting” – the often-stubby stems on the half notes, the squiggly rests, the hastily sketched but perfectly aligned syncopation and harmony almost bursting off the page. Wayne Shirley, who is a legend in the Library’s Music Division for his scholarship and encyclopedic knowledge, assisted Brylawski and pointed out some especially interesting sections. George Gershwin, seated at piano, facing right. (New York World-Telegram and the Sun Newspaper Photograph Collection, 1938). Prints and Photographs Reading Room, Library of Congress. Hooked enough to work in the Library’s Recorded Sound Section every summer during college. Hooked enough to get a job there after graduating college, to immerse himself so deeply and thoroughly in his work that he would one day become the head of Recorded Sound. And hooked enough to crusade — in the 21st century — for unified action among public and private institutions to preserve and make accessible all recorded sound. Brylawski, a recognized authority on the history and preservation of recorded sound, learned almost everything on the job, working side-by-side with scholars, talented engineers and recorded-sound savants, experts who get the best possible sound off of every recording medium. Brylawski started out at the Library as a preservation technician, transferring recordings from disk to tape. Eventually he decided that he didn’t have the “ears” or the technical expertise to do the job the way it needed to be done, so he took a clerical job in the Library’s Recorded Sound Section and Recording Laboratory. Brylawski became a reference librarian in 1980 and a curator in the early 1990s. In addition to helping people find things, he worked with other staff to make things findable. They indexed unpublished recordings, primarily gift collections held by the Library, using information from the recordings’ engineering notes. This resulted in the Sound Online Inventory and Catalog, a database of over 200,000 recordings. When James Billington became Librarian of Congress in 1987, one of his first major initiatives was to acquire Congressional funding to help the Library deal with its backlog of unprocessed materials. As a result, Recorded Sound staff and resources increased significantly. A symbol of that commitment is the Library’s National Audio-Visual Conservation Center in Culpeper, VA. Brylawski was on the executive team that planned the Center. In 1996, Brylawski was chosen to head the Recorded Sound section of the Motion Picture, Broadcasting, and Recorded Sound Division. He said that in the years after his appointment, he observed two major changes. The American Memory project gave the public access to thousands of recordings from the stacks. It included some of the first online recorded sound collections from a major cultural institution. As for the Library’s transition to digital collections and digital preservation, that has been decades in the making. Digital recording has been around since the 1970s and commercial CDs have been available since the early 1980s. By the 1990s, Recorded Sound preferred CDs as the most reliable playback medium, mainly because CDs do not wear worn down by “playback” as a phonograph needle would wear down a record groove or a magnetic tape deteriorates. Still, CDs are unreliable for long-term storage. Discs can be easily damaged by handling or by the environment and CD players will become obsolete, just as all media players eventually become obsolete. Besides, CDs are merely containers; the data is what is important. Audio files are now transferred over the web in different formats and streamed in a variety of ways, and most of the time they are missing crucial metadata such as when and how they were recorded, who played on them and, if they are copyrighted, who owns the copyrights. And the Library is challenged to gather and preserve those files. In 2002 Brylawski published a comprehensive report, “The Preservation of Digitally Recorded Sound,” that articulated the complicated, multifaceted challenges involved with preserving recorded sound in the digital age. He wrote about preserving streaming music and subscription-based music; about the proliferation of CD reissues of old vinyl and tape recordings, which vary in quality; about the explosion of native-born MP3s and their lack of metadata. And he wrote about how, more than ever, copyright can be an obstacle to preservation. Brylawski is not against copyright. Quite the contrary. His family includes two very prominent copyright attorneys, one who began working with the Library of Congress more than 100 years ago. He appreciates that recorded sound has been a commercial business since its birth in the 19th century. In the report, he observed that, “Record companies today feel bruised by the rampant swapping of music files…” He wrote about the copyright laws that do not realistically apply to digital preservation and how, in his opinion, those laws may impede the work of cultural institutions in preserving at-risk recorded sound. Given his decades of work with recordings, Brylawski is also painfully aware of the unclaimed orphaned recordings that were copyrighted but not in print and not available for anyone to hear. He wrote about the recordings on decaying media that would be lost forever if action wasn’t taken soon and he said that it is imperative for everyone with an interest and a stake in recorded sound to collaborate on mutually beneficial solutions. 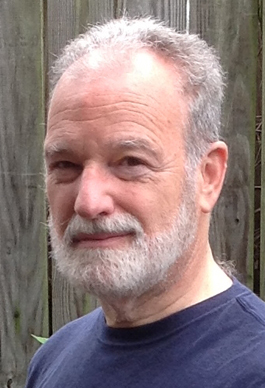 In 2010, Brylawski was a member of one of the six task forces that contributed to the comprehensive report, “The State of Recorded Sound Preservation in the United States: A National Legacy at Risk in the Digital Age,” which was sponsored by the National Recording Preservation Board. Each topic area breaks down into a few sub-topics and within those are specific, practical recommendations for action. One recommendation is the call for education in digital audio preservation. “There are few courses taught in audio preservation or preservation courses that touch on audio,” said Brylawski. “But there is no degree program in Preservation Management of Audio. And we hope that there will be. Also, the sands are shifting, so continuing education is necessary for preservation administrators and engineers. Brylawski is concerned that his reports recommendations may not be reaching out far enough to the local level, to smaller institutions, community orchestras, private collectors and others in the music business that might not be aware of the long-term threat to their collections or may not have the resources to archive their collections properly. He suspects there may be a vast quantity of recorded sound collections at large and at risk and he is helping develop methods of outreach and making resources easily accessible online. Brylawski never slowed his pace after retirement. After he left the Library in 2004, he was appointed Editor and Co-Director of the Encyclopedic Discography of Victor Recordings, by the University of California, Santa Barbara. He is also chair of the Library’s National Recording Preservation Board. 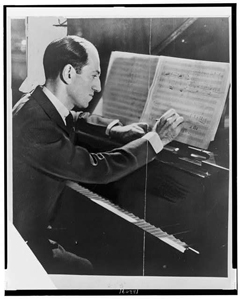 And in this new century, several long decades after Brylawski’s transformative experience at the Library of Congress researching the Gershwin manuscript, he had a hand in making accessible online — with the consent of all the stakeholders, for anyone and everyone to enjoy — a recording of Gershwin performing his “Rhapsody in Blue”. This is a syndicated post. Read the original at The Signal: Digital Preservation 2013-09-09.